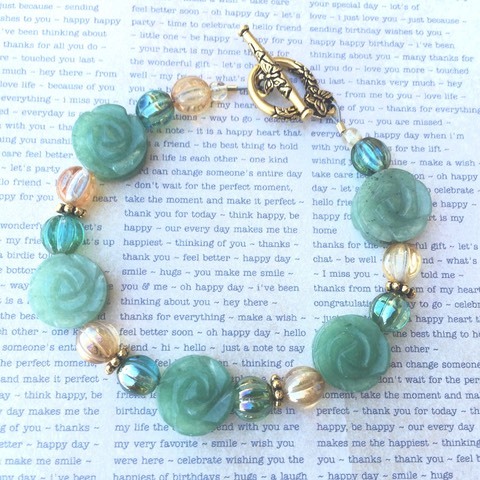 Very feminine bracelet, with carved Jade gemstone roses. Luster Glass "melon" beads, and Fine gold-plated pewter toggle clasp. Length is 7-1/2". Roses measure 1/2" diameter.